Woodstock Soapstone Co. Blog: Navajo Testing is Complete! 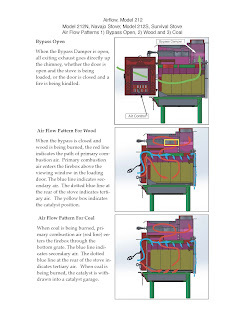 A little over a year ago, we started working on a design for a clean-burning wood/coal stove for use in the Navajo Nation, located at the “4 corners” where Arizona, New Mexico, Colorado and Utah meet. In February, 2017, we installed a series of “beta” stoves in Navajo homes on the reservation, as well as test homes here in New Hampshire. An early test model is pictured here. The stove has undergone significant changes, which we will detail in subsequent posts. We finished with the design development last summer, and recently completed testing for EPA certification, and a listing to UL 1482. Those test reports have been submitted, and we hope to have approvals before the end of the year. 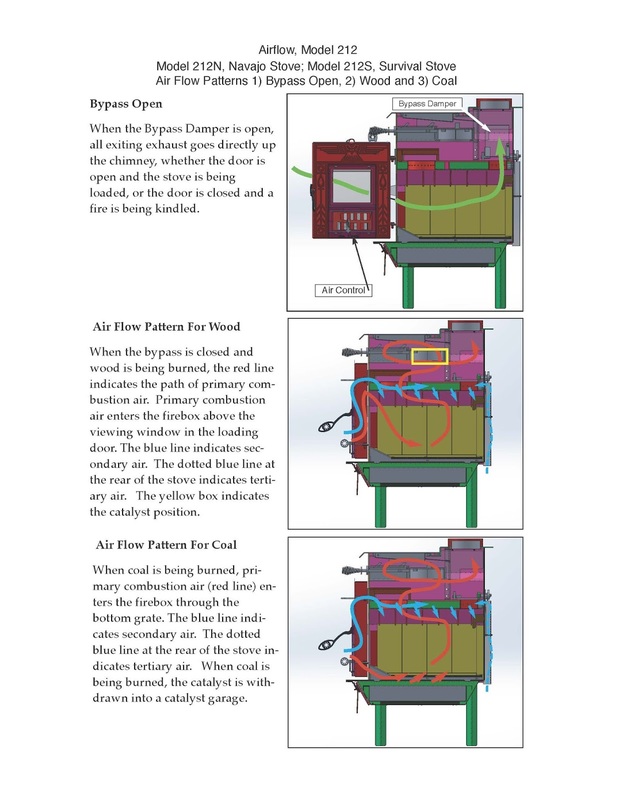 The stove is a hybrid wood stove (with secondary combustion and a catalyst), and an underfire coal stove (with significant secondary combustion). Part of the design challenge was converting the airflow from wood to coal. The average weighted emissions for wood was 1.048 grams per hour, with efficiency of 79.43%. Average emissions with coal was 4.95 grams/hour, with efficiency of 59.7%. We sacrificed quite a bit of efficiency to clean up the coal emissions. 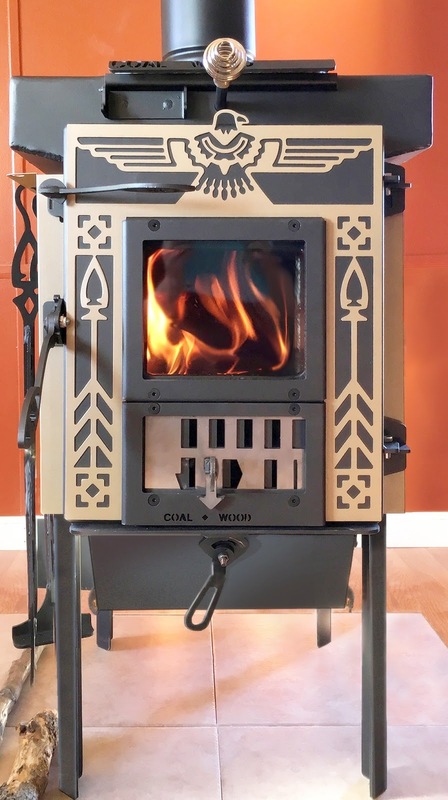 It is a small stove, with a firebox of just 1.15 cubic feet and heat output of 15,332 – 27,294 BTU/hr burning wood, and 7,741 – 10,189 BTU/hr burning coal.